Time to replace this entry decking. 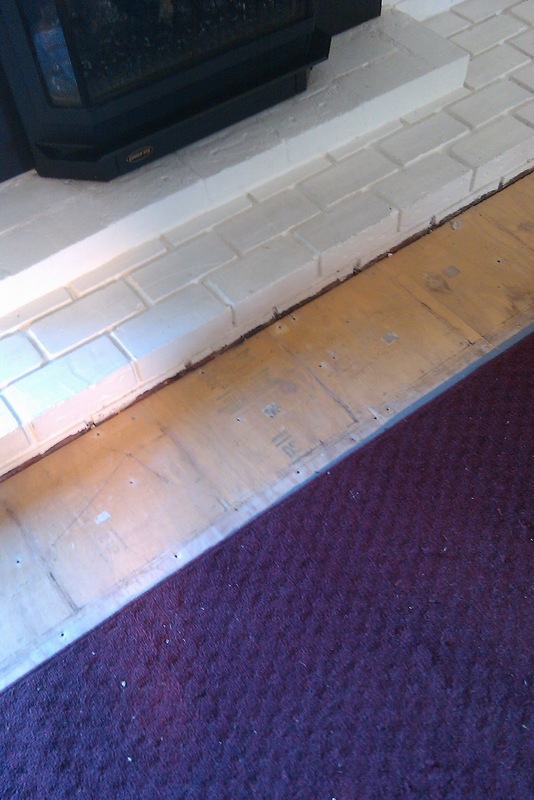 Just need to touch up the fresh cut wood with end cut solution, and we're done. 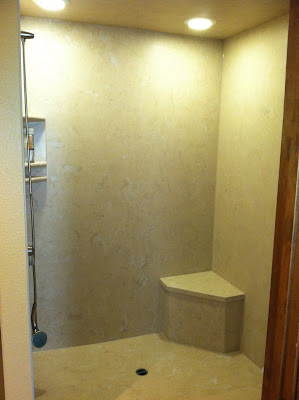 Beautiful, custom, cultured marble shower surround. 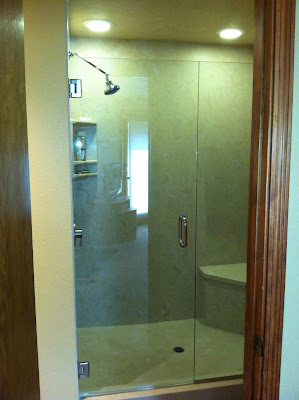 The shower doors finish off this project. This customer requested railing on this porch. 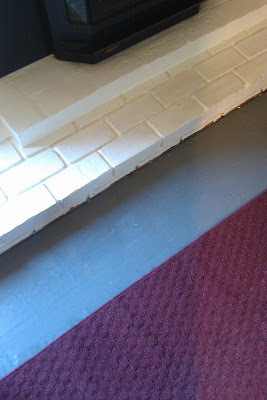 This house also had a nearby entry, so we added matching railing there, too. 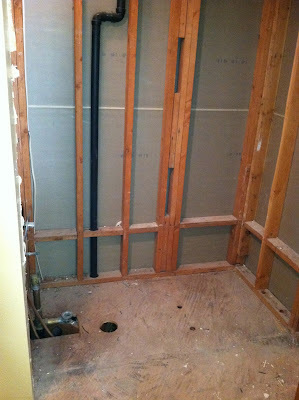 The dry rot on this home, unfortunately, was extensive. Damage went all the way into the roof truss area, and the beam underneath. This is what the repairs looked like. Notice the soffit area above the window and the 'T' bracket to support a new section of beam. The homeowner did the painting and roofing. 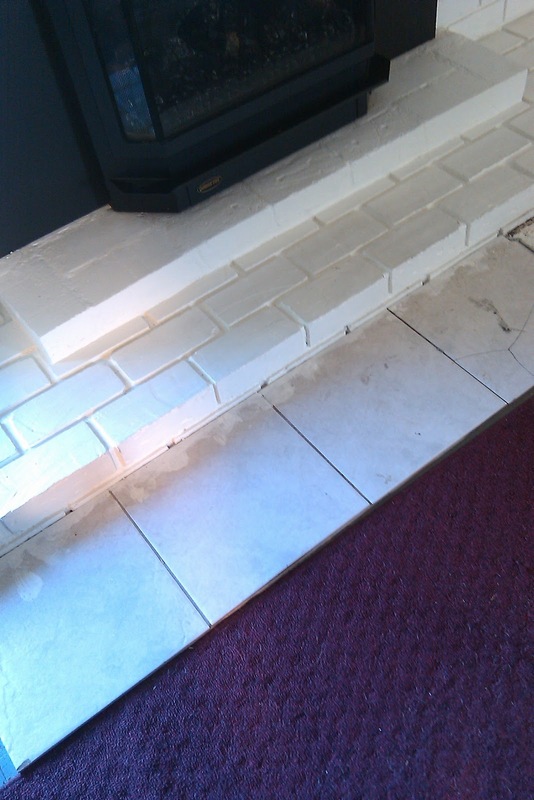 This is what it looks like after the tile has been carefully removed. A little paint for now, and the customer will add wall-to-wall carpeting later.